Most University of Maryland graduates would happily walk around draped in a Maryland flag so that you can tell them apart from non-Terps (and most have worn such attire at tailgates and games). On days when they aren’t sporting their red, black, white and gold gear, here are a few more subtle ways you can tell they’re still proud Terrapins. 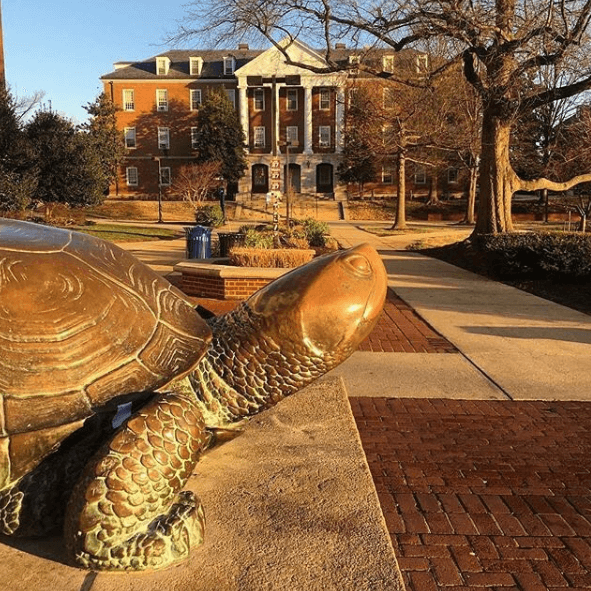 The statue of Testudo the Terrapin outside McKeldin Library is the pride and joy of UMD, and students say he can grant luck on big exams and final papers. He’s rooted down with 700 pounds of cement since students from rival universities made a habit of stealing him back in the late 1940s. Nowadays, UMD students visit him out of tradition to rub his nose and present him with offerings during finals week in hopes that he will bless them with A’s. UMD’s 2014 move to the Big 10 conference meant RIP to what many called one of the fiercest college men’s basketball rivalries of the past two decades: Maryland versus Duke. The rivalry peaked during the 2000 to 2001 season when the two teams went head to head four times between competing in the ACC and in the Final Four. From that point forward, UMD students were known to go all out for the Duke game every year. Though the two teams no longer compete, “F–k Duke” will forever be the slogan of UMD basketball fans. 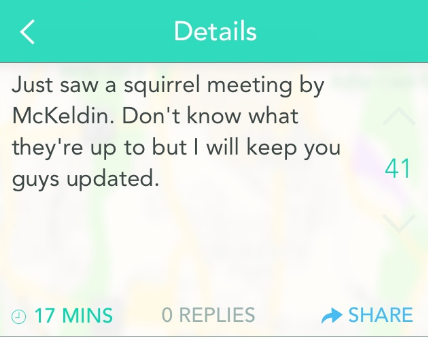 Terps take their campus squirrels very seriously. Like many schools, UMD has a large population of squirrels that are bolder than most when it comes to approaching students. Terps don’t see the blossoming number of squirrels as a problem though; they celebrate it. In 2013, a group of junior girls started a Facebook page, “UMD Squirrels” in honor of the campus creatures. Twitter accounts quickly followed, and all are now beloved staples of the school community, just like the squirrels themselves. One of UMD’s most famous graduates is none other than Jim Henson, creator of The Muppets. In fact, a puppetry class offered at the university helped him develop the skills to go on to create Kermit and his friends. 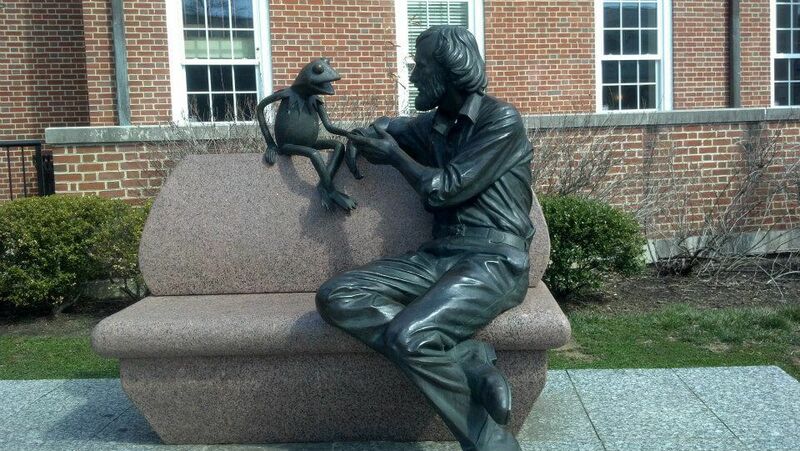 Today, a statue of Henson and Kermit chatting sits outside of the Adele H. Stamp Student Union as a tribute to this iconic alum. Terps are taught lots of material during class, but the learning doesn’t stop there. UMD students know plenty when it comes to protecting the Earth in their daily lives. On campus, they embrace the separated waste bins teaching them what to recycle, compost and trash, public transportation instead of individual vehicles and water fixtures in dorms and academic buildings that focus on using as little water as possible. 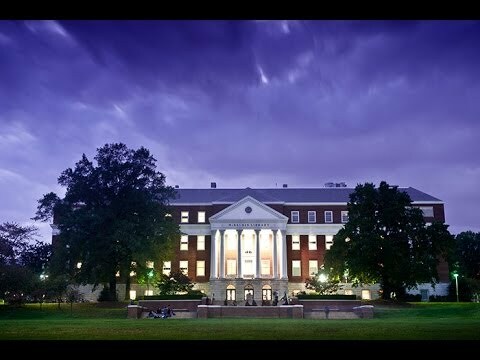 With numerous awards and recognitions backing their efforts, don’t try to get away with environmentally irresponsible behaviors in front of Maryland alumni. Having only two school colors is so last season. 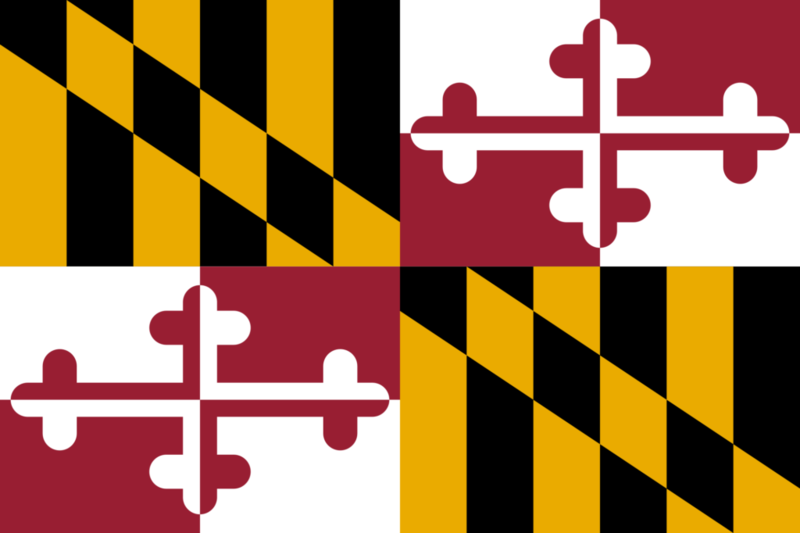 The University of Maryland embraces all four colors on the Maryland state flag: red, gold, black and white. Any combination of these four hues means Maryland spirit to a UMD student. Bonus points if you can rock the full flag pattern somewhere in your outfit or home décor. Every year in College Park brings the openings of new restaurants and bars and the closings of old favorites that just couldn’t seem to make it. Recent alum have fond memories of weekends spent at The Barking Dog, a bar that shut down in November 2013, but are unfamiliar with Blaze Pizza, which opened this past school year. 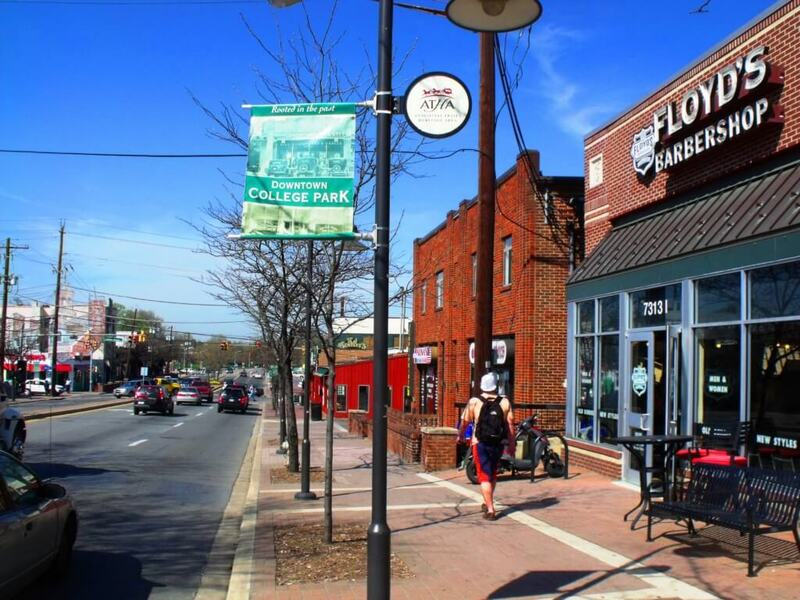 Big plans are in the works to develop College Park into a full-fledged college town over the next five years, so current UMD students will continue to see change in their city. In case you’re doubting how intense UMD students are about basketball, all past and present students would be happy to point you in the direction of UMD’s newest tradition: flash mobs. Starting with the arena-wide Harlem Shake at the Duke game in 2013, the annual flash mob is a highlight for anyone watching and rooting for Maryland. 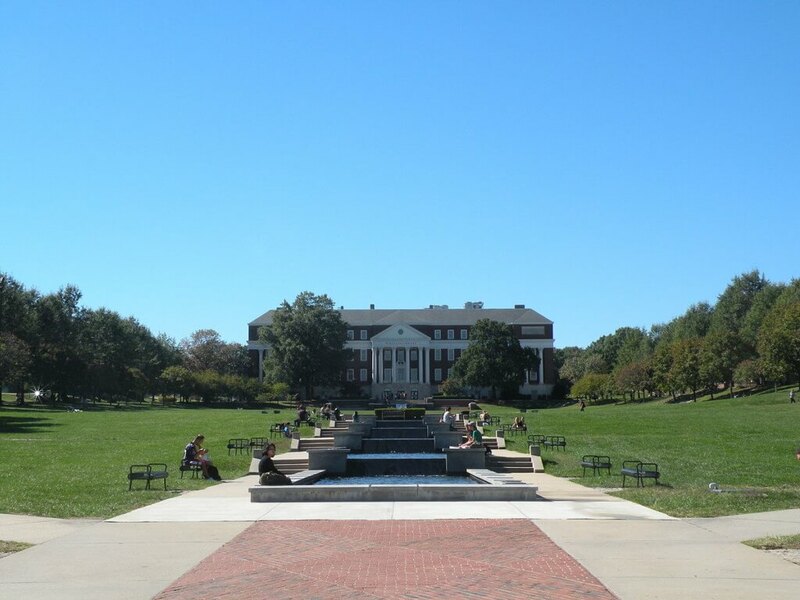 Any UMD student, past or present, knows that you have to stake out your finals week study spot in McKeldin Library at least a week in advance, and then never leave in order to maintain a place to work. The library might be seven floors of pure study space, but the last week of the semester, it remains full and competitive all 24 hours a day that it’s open. Whether they preferred the social atmosphere of the second floor or the dead silence of the seventh, all UMD students remember the finals week Hunger Games in McKeldin. 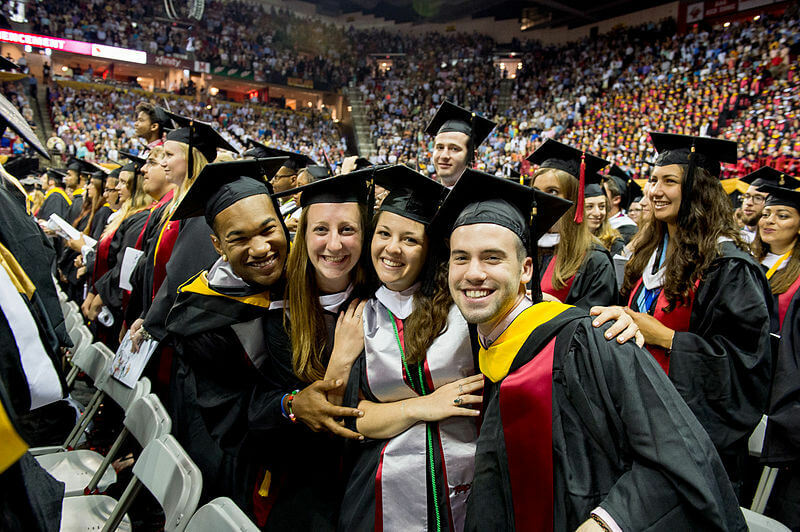 The time alumni spend at UMD might seem like a whirlwind of College Park pizza and screaming at Duke, but the degree Terps receive at the end of their four years says otherwise. According to PayScale, the average yearly salary for recent alumni in 2015 is $52,700 and over half of those surveyed said they believed their jobs make the world a better place. So if you can’t spot a former Terp based on any of these other signs, there’s a good chance that high success is a result of studying at UMD….and maybe giving Testudo an extra rub.